Facebook launches Express Wi-Fi, an inexpensive Internet service that provides residents in remote villages in India with an Internet connection similar to the one accessed by most people in the Western Hemisphere. The communications network by the name of Express Wi-Fi, a Wi-Fi network part of Facebook’s Internet.org initiative, stretches through 2,500 square miles of mountainous terrain throughout India. This network is made up of numerous metal towers with five microwave relay dishes that transmit a signal from a base station in the valley below, to other towers, and ultimately, to remote access points in the business strip of about 40 villages. Express WiFi’s network’s towers are barely noticeable yet they provide a powerful signal in a location where wireless signals were somewhat slow and unreliable. 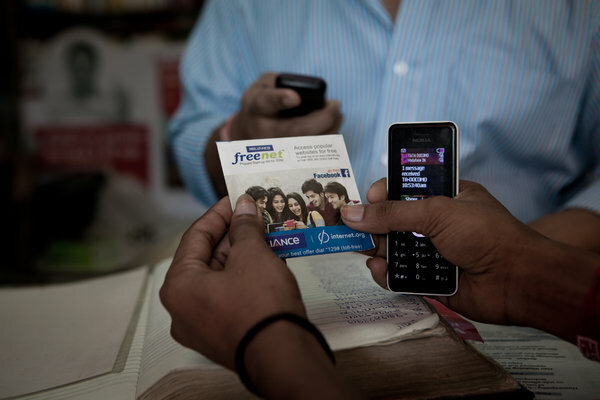 Before Express Wi-Fi, the most common WLAN service provider in rural India was Airtel. A cellular operation operator charging villagers three times the amount that Express Wi-Fi is currently charging. Express WiFi approach is offering different plans for its users with low prices, for instance, 10 rupees or 15 cents can buy one day access to 100 megabytes of data, and $3 will buy 20 gigabytes of data per month. The one major downfall to Express Wi-Fi’s connection is that one access point per village is not enough to provide internet access to 5,000 users. As a result, Facebook’s Internet.org has also launched another prominent initiative to offer a package of free basic Internet service through local carriers in countries worldwide, including India. Although Facebook has no desire in entering the Internet service market, it has chosen to partner with Internet access providers, like AirJaldi, to share its expertise in software and network technology. Thus far, this partnership has resulted in extensive projects like Express Wi-Fi, which in a population of about 200,000 people has had approximately 30,000 people log onto its service, 6,000 of which using the service on a daily basis.